Neither of these ladies competed in Sochi (Radionova was too young and Ando finished seventh at Japanese Nationals) and the same fate befell Nobunari Oda, winner of the men’s event, and Madison Hubbell and Zachary Donohue who claimed the ice dance title. Only Tatiana Volosozhar and Maxim Trankov who won their third consecutive Nebelhorn crown went on to compete in Sochi and we all know what happened there. 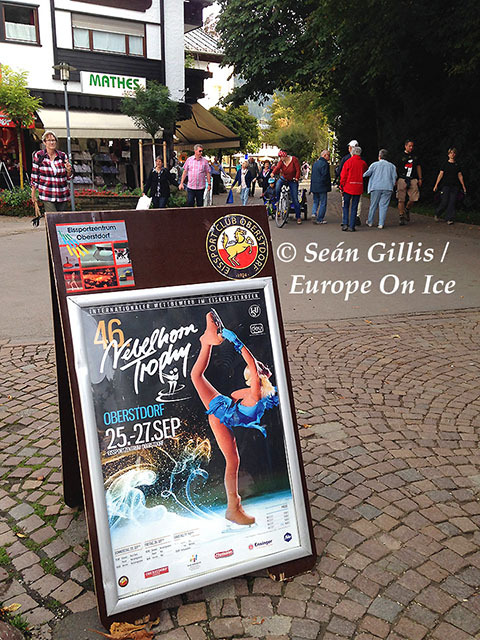 And so it was that in an entirely more tranquil atmosphere with not a single representative from any Japanese media outlet present that the 2014 Nebelhorn Trophy commenced. That’s not to say there weren’t any noteworthy stories. 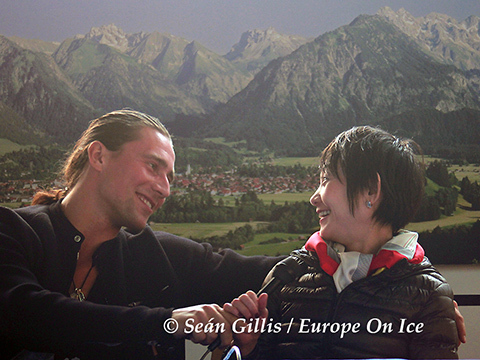 In October 2013, Yuko Kavaguti and Alexander Smirnov had been skating at the Panin Memorial in Saint Petersburg. The season had been carefully planned by their coach Tamara Moskvina to take them to the Sochi Olympics, medal and then possibly conclude their careers at the World Championships in Kavaguti’s native Japan. Unfortunately, on a routine set of side by side triple toe loops disaster struck and in the blink of an eye their entire season was over. Smirnov had ruptured the patellar ligament in his right knee and it would take many months of careful rehabilitation before he could even set foot on the ice again. The easy option would have been to call it quits and just retire. Kavaguti and Smirnov and their redoubtable coach Tamara Moskvina don’t do easy, so they were back for one more round. If they were to go out, it would be on their own terms. “We are very happy to be back in competitive skating and not just in shows”, Smirnov enthused after arriving in Oberstdorf. While the end of an Olympic season is usually a time for skaters to reassess their careers, hang up their skates or seek new partners or coaches, no-one was quite expecting the amount of change that occurred almost immediately as soon as the curtain closed on the season in early April. Five-time World champions Aliona Savchenko and Robin Szolkowy skated in the gala at Saitama Worlds and then all of a sudden their partnership was no more. Savchenko wanted to go for another four more years to try and get that elusive Olympic gold. For Szolkowy, that was not in his plans. The duo that had done so much to change pairs skating in their decade together were no more. There was another twist in this tale though. Szolkowy had been considering his future when he was contacted by e-mail by Nina Mozer, coach of Volosozhar and Trankov. It was an offer to work with some of her younger couples. Szolkowy had accepted and now he was here in Oberstdorf wearing a Russian team jacket and taking care of Evgenia Tarasova and Vladimir Morozov. In the short programme of the pairs event, Kavaguti and Smirnov skated second in the running order with a new programme to “Meditation” from Thais. The music had previously been used by former Moskvina pupils Elena Berezhnaya and Anton Sikharulidze for their free routine when they won their Olympic title. It was a soft, lyrical style that Kavaguti and Smirnov were comfortable with recalling previous programmes to Saint-Saens’s “The Swan” and Debussy’s “Clair de Lune” and they skated superbly. The 2010 European champions were clearly the class of the field, so there was mild surprise when they received a somewhat muted score of 66.59 points. Tarasova and Morozov skated tenth in the short and were the final pair to perform. It was technically a very accomplished senior debut for the team, but their programme components were clearly not anywhere near Kavaguti and Smirnov. Then their marks appeared. 65.74 points, less than a point off first place. The battle for gold was now on. The rest of the field were already out of the running. There had been a little bit more expected of Vanessa James and Morgan Cipres. 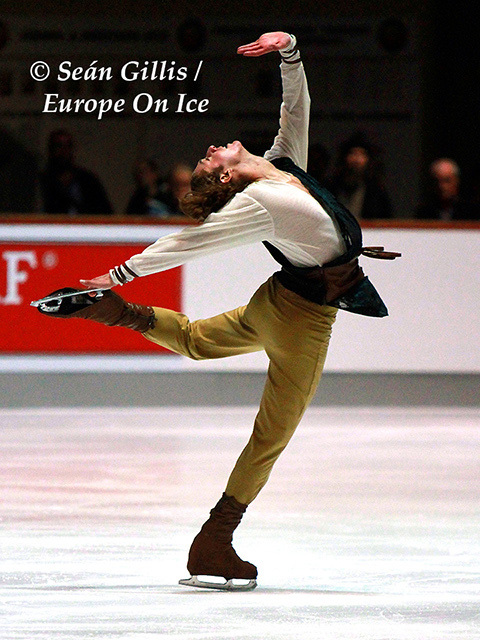 The French team had relocated over the summer to train with Stanislav Morozov, who had himself previously skated with both Savchenko and Volosozhar before they went on to greater success with other partners. 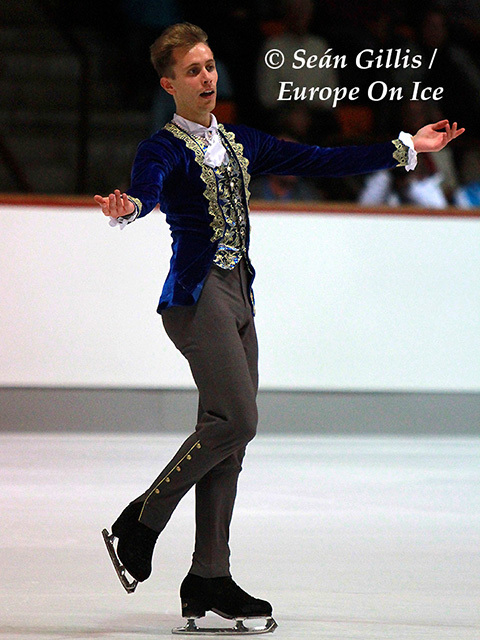 He had also been a key member of the team who had masterminded the Olympic victory of Volosozhar and Trankov. James and Cipres looked nervous from the start of their tango routine and a shaky triple twist was followed by botched triple toe loops. The French were in fourth on 55.18 points just behind Alexa Scimeca and Chris Knierim from the United States on 55.29 points. The Americans had a tumble on both the triple salchows and a triple flip throw. From being overwhelming favourites before the competition had begun, Kavaguti and Smirnov faced the free skating knowing that they had a fight on their hands. Losing to Tarasova and Morozov was now a distinct possibility. If they couldn’t beat a team fresh out of the junior ranks, what chance would they have of medalling at Europeans or Worlds or even making it out of Russian Nationals? There was a lot at stake for Kavaguti and Smirnov, but they had been fortunate and drawn last to skate. 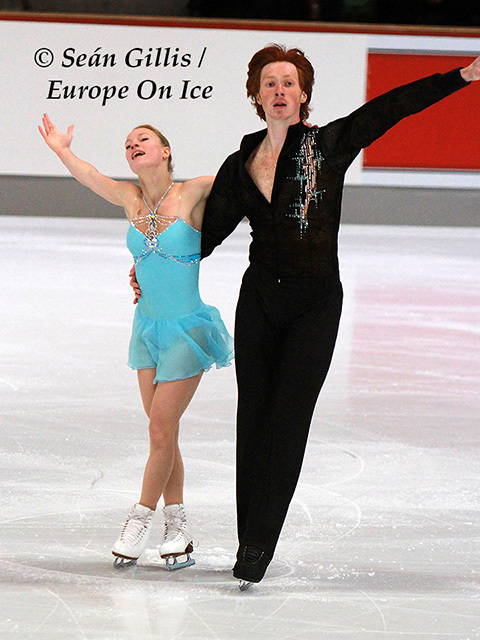 Tarasova and Morozov, who were second to go in the final group, would have to lay down the gauntlet. It proved to be beyond them. While they whipped off a spectacular opening triple twist, they crumbled on the side by side triple salchows and triple toe loop/double toe loop combination. They were not helped by the maudlin instrumental version of Lionel Richie’s “Hello” they had chosen and the lack of stamina they showed towards the end. A pair for the future, but not for right now. It would be a big shock if their free score of 113.24 points would be enough to give them the win. Still the mood in Kavaguti/Smirnov camp was tense. Before the short, Moskvina had been relaxed enough to advise photographers where to sit to take the best images as her skaters were about to take to the ice. Now there was nothing but complete concentration by the esteemed coach towards her skaters. Their whole season depended on the next four and a half minutes. Tchaikovsky’s “Manfred Symphony” had been selected with the Olympics in mind and was a total contrast to their short from the previous day. 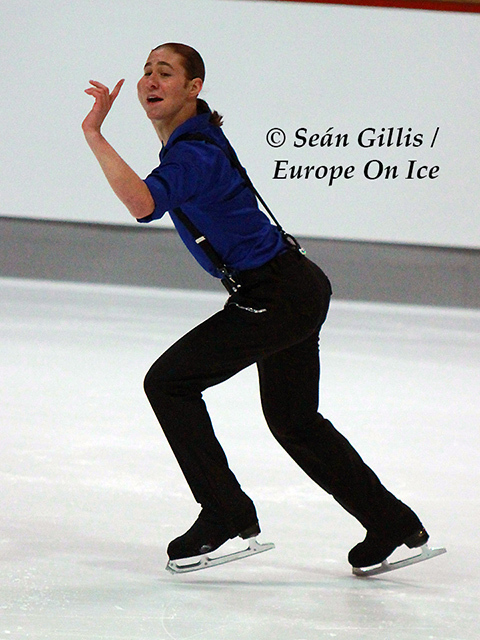 Sombre, dark and edgy, it was not a piece that an average skater could make appealing to judges or an audience. The programme began with a wobbly triple toe loop/triple toe loop sequence and squeaky double axels before Smirnov launched Kavaguti into a quadruple salchow throw after an excruciatingly slow build-up. Up she went and down she came. It was there! Maybe not perfect, but it was rotated. With that element out of the way, they let rip with perhaps one of the most memorable pieces of pairs choreography that has ever been produced. Violently dramatic and utterly mesmerising. Many in the audience were on their feet as the Russians took their bows. The judges concurred and with a score of 129.30 points the gold was theirs. Mission accomplished. 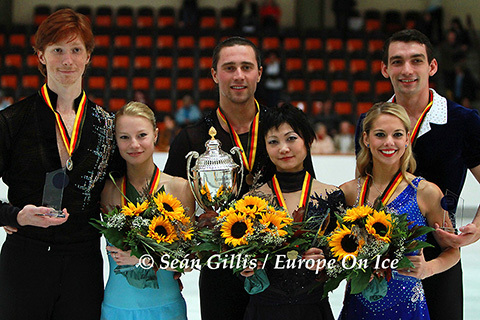 Scimeca and Knierim edged out James and Cipres for the bronze with neither couple really performing to their potential. 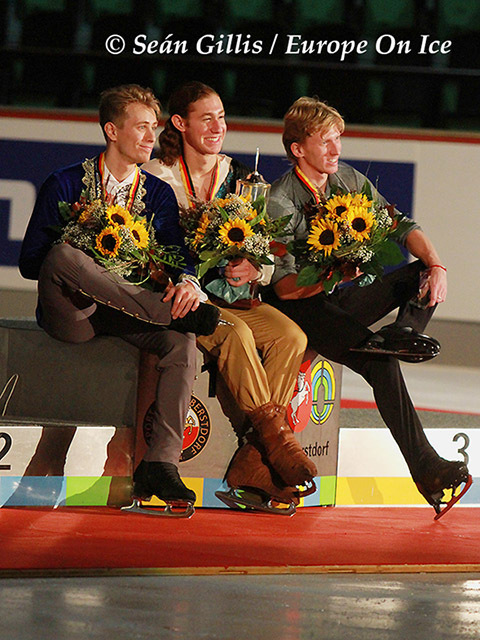 In 2013, the Nebelhorn Trophy had been Jason Brown’s senior debut event and he had finished second to Nobunari Oda and made an impression on the skating world. At U.S. Nationals in January of this year, he made an even greater splash when his performance to “Riverdance” wound up going viral turning him into an overnight star. He earned a berth on the U.S. Olympic team, but living up to the hype was always going to be a challenge and, despite taking a bronze medal in the team event and posting a personal best in the short programme, Brown would end up ninth in Sochi. That was the culmination of his season as he had not been selected to go to the World Championships. There may have never been a more personable and charming skater than Brown, but beneath there is also a steely competitor. While the rest of his rivals in Oberstdorf floundered, the American produced a flawless short complete with a good triple axel, a jump that had given him trouble in the past. His score of 83.59 points had him sitting way out in front of the rest of the field. After two seasons training in the U.S., Michal Brezina was now once again based in Oberstdorf and, in the absence of any strong German challenger, would have the advantage and disadvantage of “home” support. Skating to “Game of Thrones” soundtrack, the man from Brno in the Czech Republic reeled off a great triple axel, but came a cropper on a quadruple salchow attempt. Even with the mistake he almost matched Brown’s elements score, but there was a five point deficit on the components. Still 78.27 points put him securely in second place going into the free. Elladj Balde from Canada pipped Russians Sergei Voronov and Konstantin Menshov for third with 71.73 points, although there was just over a point separating the three men. The men assembled again the following evening for the free skate. Brown would skate have the advantage of skating of going after Brezina and knowing exactly what he had to do to claim victory. The Czech had a positive start to his “Marriage of Figaro” free with a triple axel and a quad salchow/double toe loop landed in the opening part of the routine. 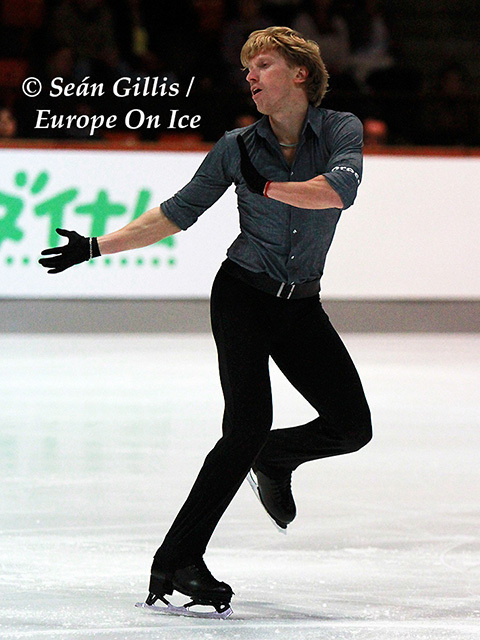 Things stuttered when he fell on a second quad salchow and singling a triple loop was also costly. Nevertheless, the free score of 150.21 points was decent, if not spectacular. Brown basically needed to stay upright in his “Tristan and Isolde” routine to win and this he managed to do with a free score of 153.58 and total of 237.17 points. In doing so however it did reveal the Achilles heel of his skating. Four of his jumps were deemed to be under rotated, including both of his triple axels. While this did not prevent him from winning a season opener like Nebelhorn, it will surely not be good enough later on in the year. And then there is the “Q” word. At the post-free press conference, a question was put about the importance of the quad and Brown coyly ducked the question and passed the microphone to Brezina. A skater less likable and charming would not have gotten off so lightly, but grilling Brown further seemed cruel, almost like kicking a puppy. It is a question that will no doubt come up again and something that he won’t be able to dodge so easily in future. Brown still has time on his side at just nineteen going on twenty. Konstantin Menshov, who is the ripe old age of thirty one, is still landing quadruple toe loops and triple axels. The Russian clawed his way up from fifth after the short to third place with a total score 211.03 points proving that there is life in the old dog yet. “I am pleased to be in top three, although I really did feel the altitude today,” Menshov said. Olympic bronze medallist Denis Ten had to withdraw from the short as he came down with stomach flu on arrival in Oberstdorf.